Of the 1.4 million jobs in the computing-related field in 2020, 29 percent are expected to be filled by American workers; less than 3 percent of those will be women. Alumni Melissa Liu and Michael Riepe helped to organize the Jan. 14 screening at CruzioWorks. 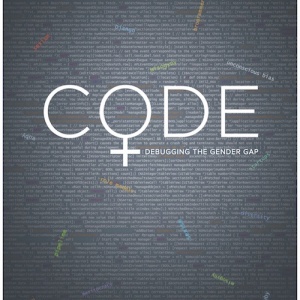 Students and their families are invited to join the local tech community for a special screening of "CODE: Debugging the Gender Gap," a new documentary depicting challenges women and minorities face in the burgeoning computer industry. 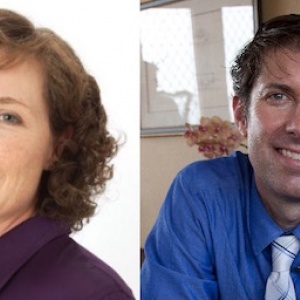 The event, cosponsored by Santa Cruz Tech Beat, is free and open to the public. Space is limited. Please register online. After the film, which contains some language and content that may not be appropriate for young audiences, the community will have the opportunity to participate in a panel discussion about challenges in the industry and solutions to underrepresentation. "A lot of it is raising awareness and changing perceptions," said Charlie McDowell, professor of computer science. "This has got to be a large cultural thing to get women to consider taking these classes and major in computer engineering or computer science. Our nation needs these people. Jobs are going unfilled." Of the 1.4 million jobs in the computing-related field in 2020, 29 percent are expected to be filled by American workers; less than 3 percent of those will be women. The numbers of women and minorities in engineering programs averages about 18 to 19 percent for women in the U.S., 8 to 9 percent for Hispanics and about 5 percent for African Americans. In computer science fields, the percentage of women has actually decreased since the '80s. "It's a pipeline problem," says Michael Riepe, a software electrical engineer and chair emeritus of the Baskin (School of Engineering) Alumni Advisory Council. "The movie includes interviews with people who are making a difference and they show us how to do it." Ideally girls in middle school, young women and underrepresented groups will be inspired by these role models in the profession. Parents too need to see this is a valid career for their children, Riepe said. "The lack of a skilled technology workforce is alarming," said Jacob Martinez, founding director of Digital NEST, a youth program in Watsonville. "If we are to compete in the 21st century world economy, we need a high tech workforce and, more importantly, a diverse workforce to drive innovation." The 78-minute documentary directed by Robin Hauser Reynolds asks: what would society gain from having more women and minorities code? The answer is "a lot," according to Melissa Liu, who remembers just two other women in her classes back in 1991. A management consultant and Silicon Valley tech business entrepreneur, Lui serves as chair of the Baskin Alumni Advisory Council. There have been a number of changes on campus to strengthen diversity since Lui was a student. UCSC has student chapters of the Society of Women Engineers, the Society of Hispanic Professional Engineers, the National Society of Black Engineers as well as the National Center for Women & Information Technology Pacesetters program and outreach efforts to middle school and high school students. Project Awesome (Advancing Women's Education in the School Of Engineering) is another active program supporting women engineering students. In addition to adding scholarships to support diversity, UCSC has revised its programming sequence so students with less exposure to computing will be encouraged to apply. The campus also hosts an annual free Girls in Engineering summer camp that brings dozens of disadvantaged girls to campus to learn about computer engineering and computer science. Joining McDowell and Martinez in the panel discussion will be Emily Lovell, USCS graduate student; Remington Maxwell, UCSC undergraduate; Sarah Ross, Yahoo software engineer; and Cherizza Lundy, Global Women's Initiative manager at Intel Corp.
"CODE: Debugging the Gender Gap" (trailer) will be screened from 7 to 8:30 p.m., Jan. 14 at CruzioWorks, 877 Cedar St. #150. A reception will be held from 6:30 to 7 p.m. The panel discussion is from 8:30 to 9:30 p.m. The event is free. Please register online.